Car dealership group Inchcape has opened up a brand new flagship Volkswagen in West London, in what has been seen as a clear indication that the marque is here to stay. 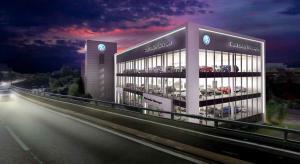 The new 1.6-acre showroom is based just off the A4 near Brentford. The state-of-the-art facility will be Volkswagen’s largest operation in the UK, with space for 90 vehicles over four floors, as well as 28 service bays, 140-inch video walls and multiple touchscreen units for customisation. If you are expanding your business, whether by taking on new sites or simply adding to the volume of stock you hold, you must ensure that you have the right levels of insurance to cover your enterprise. You should have both a good motor trade insurance policy and road risks insurance that are adequate to your needs. A team of 70 specially trained staff will offer customers of West London Volkswagen a range of sales, test drives, aftersales, servicing and repairs. Alex Smith, the director of Volkswagen in the UK, said of the showroom: “West London Volkswagen sends a very clear message that the brand here in the UK is continuing to gear up for growth.